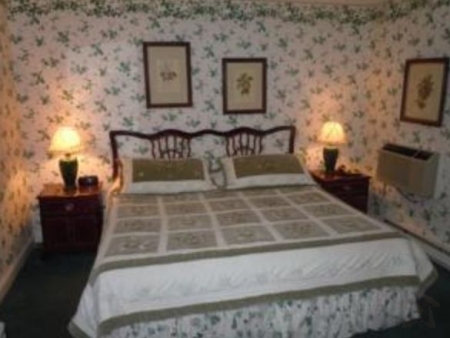 Each unique room is individually styled with colonial era furnishings and wall coverings. 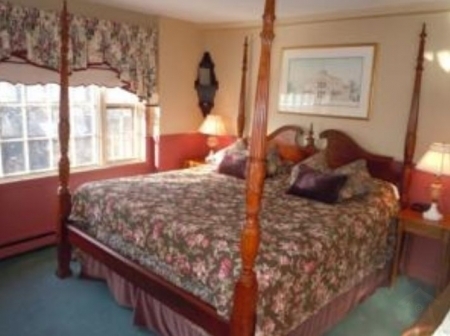 Your comfortable room has been decorated with every attention to detail and represents the best of classic New England. For example, some rooms have four poster mahogany beds with canopies, co-coordinated draperies or antique wicker furnishings. Once here, youâï¿½ï¿½ll appreciate the convenience of being located on Newportâï¿½ï¿½s historic Thames Street with its cobblestones and gaslights. Youâï¿½ï¿½ll never need to get into a car to enjoy Newportâï¿½ï¿½s best restaurants, night clubs, quaint shops and antique stores. Youâï¿½ï¿½ll have access to sailboats or motor yachts to tour our breathtaking, world-renowned harbor and waterfront where youâï¿½ï¿½ll see some of the worldâï¿½ï¿½s most elegant yachts. Our staff is dedicated to assuring that your stay with us is as comfortable and enjoyable as possible. Enjoy our complimentary breakfast and a high tea later in the day. Please make plans now to visit us at the historic Americaâï¿½ï¿½s Cup Inn. 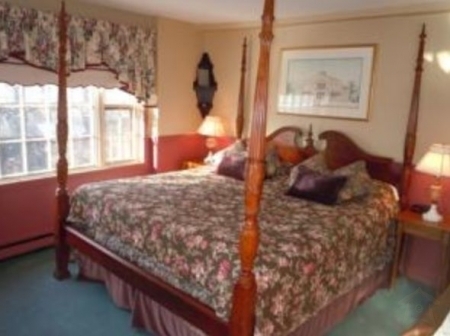 We eagerly await the opportunity to make your stay in Newport one of your most cherished vacation memories. 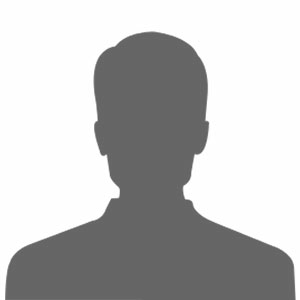 One night\'s deposit is required at the time of reservation (including tax). There is a two night minimum on weekends (in season) and a three night minimum on holidays and festival weekends. Guests have 7 days prior to arrival to receive a refund less $25.00 service charge. If cancellation is made within the 7 days deposit is non-refundable. Home to spectacular coastal scenery, awe-inspiring architecture, a thriving waterfront downtown, and welcoming hospitality, Newport, Rhode Island is considered by many to be a shining gem in the coastal crown of New England. From weekend getaways spent touring the famed Gilded Age mansions that once were the summer playground for socialite families with names like Astor and Vanderbilt to an afternoon of wine tasting through Newport\'s three scenic vineyards, the options for interesting activities, distinctive stories, and enticing photo opportunities are countless!